What makes us unique is over 30 years experience in hair removal. We can treat any and all unwanted hair permanently. Call now for a free consultation.Specials 250-721-9910 390-1641 Hillside Ave.
Our advanced equipment and skilled staff can provide the results you are looking for. 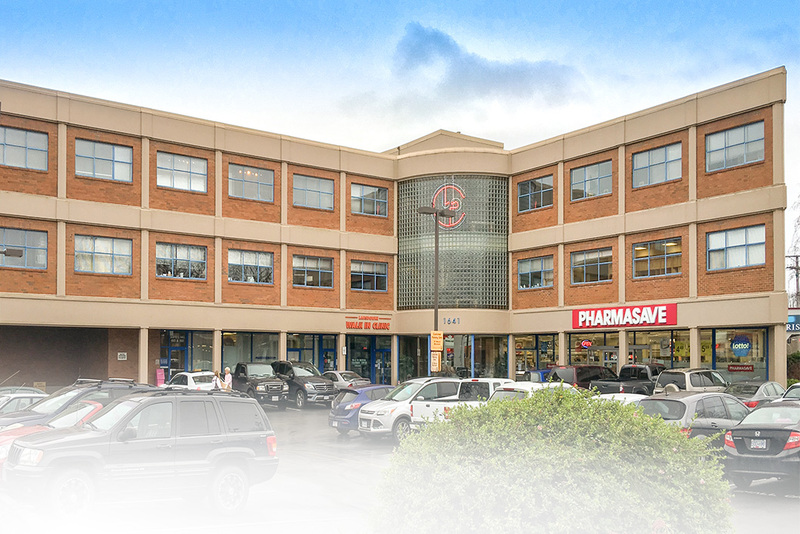 Building beauty and confidence for over 30 years! Are you looking for a permanent hair removal, regardless of skin tone or hair colour? Just imagine the freedom it would bring to your life if you never had to shave again! Say goodbye to messy depilatory creams, razors, tweezing, waxing, rashes and ingrown hair. What makes us unique is over 30 years experience in hair removal. Offering both electrolysis and laser we can treat any and all unwanted hair permanently. As quality service is important to us, we use the newest equipment on the market. The medical grade Cynosure Elite Laser system has a unique cooling system which makes treatment effective and comfortable. We are the only clinic on Vancouver Island using the newest Apilus Platinum Pure 27 MH electrolysis epilator. Please call for a complimentary, no obligation consultation 250-721-9910. Electrolysis is the only permanent method of hair removal for all skin types. Remove unwanted hair faster and more effectively with technology: the Alexandrite laser and the Nd:YAG laser. Age spots and sun spots, also known as pigmented lesions, are blemishes on the skin associated with aging and exposure to the sun. Spider veins are bothersome at best, unattractive at worst. Fortunately, laser treatment is a quick and effective method of vein removal. "I had six IPL treatments on my face before coming to Iga’s Laser & Electrolysis. I noticed that one laser treatment at Iga’s had better results than 6 IPL treatments. In addition, I had less discomfort because of the cooling system and I am extremely happy with the results." We are a caring, professional team of certified technicians dedicated to providing aesthetic and hair removal treatments to help you look and feel your best. Our clients desire personalized service and attention to detail on which they can always rely. We work together to give you a pleasant experience with life changing results. Using the latest equipment, we know how to achieve the results you want with the fewest treatments possible. 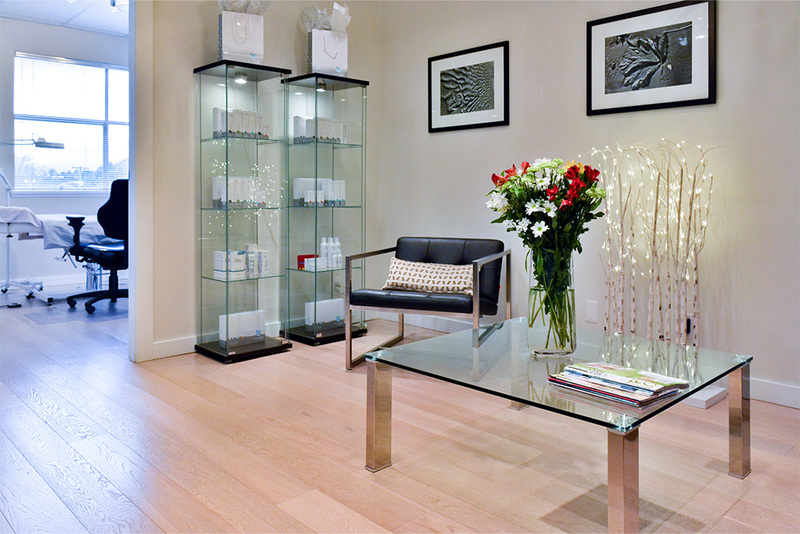 Iga has a passion for cosmetic laser treatments, specializing in permanent hair removal. 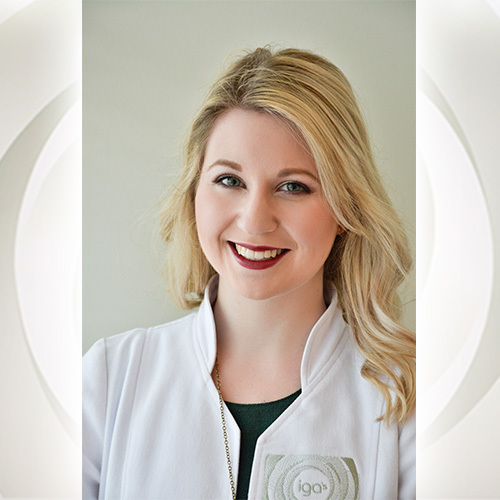 She loves helping others and enjoys getting to know her clients, taking the time to understand their needs and recommending a customized treatment. 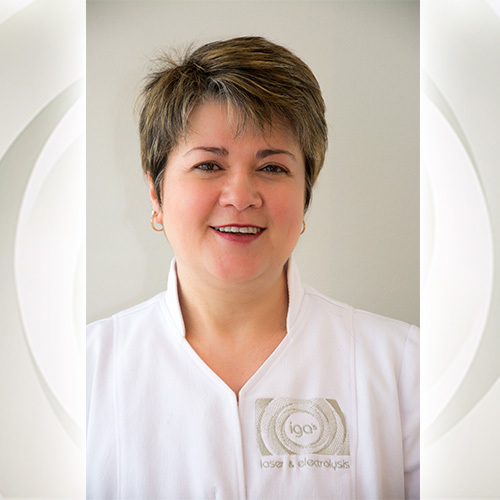 With over 30 years of experience in the field of electrolysis and laser hair removal, Iga brings a wealth of knowledge and wisdom to her practice. Always maintaining the highest level of professionalism Iga has been consistently recognized within her industry for her outstanding skill level and results for her clients. Iga managed the Kree International Electrolysis Studio in Victoria for 16 years before opening her own clinic. Ana specializes in electrolysis. She has been working at Iga’s Laser & Electrolysis for over 10 years. Her clients appreciate her caring, calm manner and attention to detail. Ana feels that one of the most rewarding aspects of being an electrologist is seeing clients visibly blossom and regain their confidence as their hair disappears. 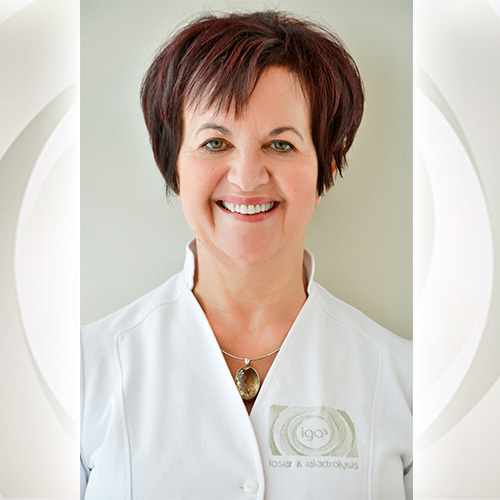 Ana is a Certified Electrologist and graduated from the Swansons Canadian Institute of Electrolysis. Ana is a member in good standing with the Canadian Organization of Professional Electrologists (COPE). 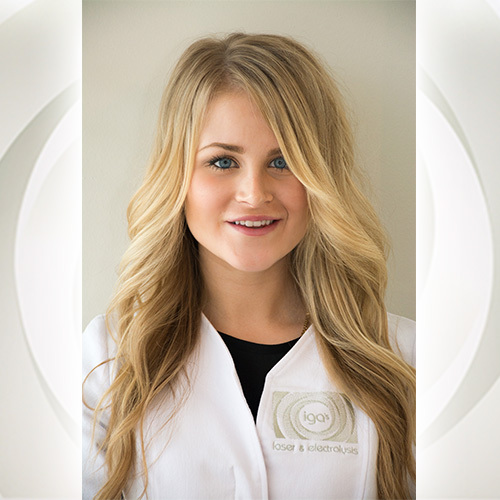 Carley graduated from All Body Laser Corp in Coquitlam, BC with diplomas in advanced clinical skin care and cosmetic laser technologies. She is a people person who is passionate about helping clients achieve the results that give them a new sense of confidence. Sabrina specializes in laser hair removal. 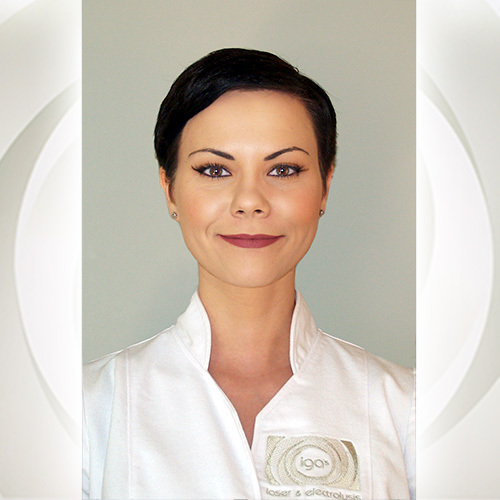 She received her laser technician certification from Nicola Finch Laserspa Academy (Kelowna) and a diploma in massage therapy from Remington College (Hawaii). She has also acquired a certification in make-up from Blanche McDonald Centre (Vancouver). She enjoys working with clients to create a whole new look for them on the inside and out. Sabrina is always learning something new to bring into the practice. Remove unwanted hair faster and more effectively with the Alexandrite laser and the Nd:YAG laser. Electrolysis is the only permanent method of hair removal. Electrolysis uses a tiny probe the size of your hair, which is inserted into each follicle, and stops the cells from producing hairs. Age spots and sun spots, also known as pigmented lesions, are blemishes on the skin associated with aging and exposure to the sun. These include: bluish, purplish, black or otherwise discoloured spots, freckles and sun-damaged skin areas. Laser Facial treatment is the visible improvement of sun damaged skin through laser correction technology. In addition to correcting skin damage, the treatment stimulates collagen production to tighten the surrounding tissue, resulting in improved skin texture and reduced signs of aging. PRIORI® has created the most effective and tolerated professional peels available. In fact, professional treatments by PRIORI® are designed to accelerate and maximize the results obtained with Advanced AHA home care products and is only available through your skincare professional. 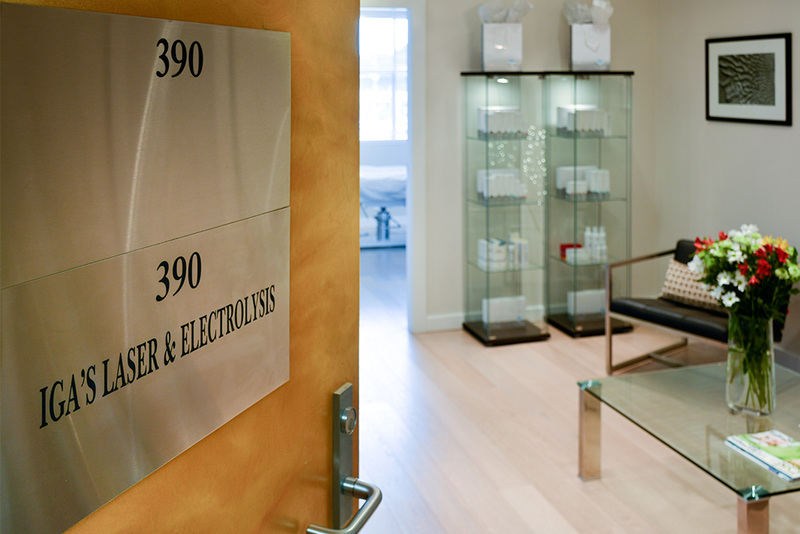 Iga’s Laser & Electrolysis specializes in hair removal for transgender clients. Physicians and specialists often refer their patients to us as we have a proven reputation for achieving excellent results in hair removal using laser or a combination of laser and electrolysis. A man may wish to remove hair for cosmetic reasons or for a better quality of life. Whether it is the taming of an unruly uni-brow or removal of unsightly hair in the ear or, on the back or chest — men deserve to look and feel their best! For your convenience, pay for half of the package on your first visit, and the remainder on your second. Call 250-721-9910 for a free consultation. Rates vary, depending on various criteria; such as your goals and needs, hair type, etc. Call to order Gift Certificates. We’ve be praised for our high level of service and professionalism. Find out what some of our clients have to say about us. I had a great first time experience Iga’s Laser & Electrolysis. I had a treatment with Carley getting my brown spot removed on my face. My skin looks so much younger and fresh I decided to come back again and get my chest done. Carley made me feel very comfortable and she was very knowledgable. I would recommend going to Iga’s Laser and Electrolysis to anyone who is looking for a laser treatment. Iga truly does magic. Thank you for the life changing experience. Her positive attitude always makes me happy to come back. With her extensive knowledge and experience, Iga determined the appropriate permanent hair removal technique for me. She genuinely cares about the comfort of her clients and to that end creates a relaxing, calm environment for each session. Most importantly, she cares about results. Not only has the ‘shadow’ disappeared, my complexion has a more even tone. After years of embarrassment about facial hair, I feel feminine and attractive. Iga’s discretion and sensitivity to my needs as I transitioned always made me comfortable to be there. From pronoun use to hair removal after work hours or at times when school did not let out meant I always left there feeling and looking better regarding my true self. With extreme pain sensitivity, a fear of needles and extreme facial sensitivity many other electrolysis studios had turned me down, or even thrown me out when the bumps and rashes from electrolysis refused to go away for two weeks. Iga’s Laser & Electrolysis welcomed the challenge, and helped me use different types of skin numbing for pain, and adjusted the levels in order to avoid any bumps, rashes or scarring. If it were not for Iga and Anna, I would still feel ashamed of my facial hair, instead of confident, 99% hair free and happy to return for a ‘tune up’ now and then. I used to have a full beard which was embarrassing as a female. I used to wax and tweeze my face constantly which would cause ingrown hair, redness, and skin irritation. With only electrolysis treatments I would get very impatient. Iga determined that the appropriate hair removal technique for me was a combination of laser and electrolysis. We did a few laser treatments which removed all the dark, coarse hair. These are followed up with electrolysis, to clean up the finer lighter hair. I have only received a handful of treatments and I can already see a huge difference in my appearance. The hair and skin irritation is gone and I feel confident in how I look. I think the combination of laser and electrolysis really worked for me and I highly recommend it. I had six IPL treatments on my face before coming to Iga’s Laser & Electrolysis. I noticed that one laser treatment at Iga’s had better results than 6 IPL treatments. In addition, I had less discomfort because of the cooling system and I am extremely happy with the results. Sign up for our newsletter to receive email updates about our latest news and special offers. Drop us a message to request an appointment and we'll get back to you ASAP.